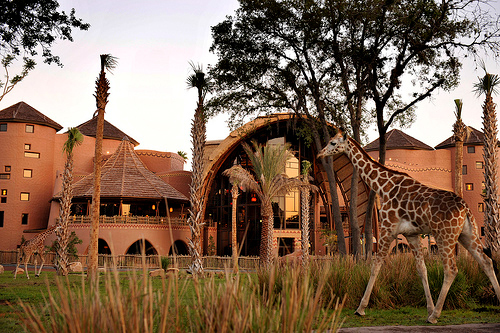 Disney’s Animal Kingdom Lodge, your African adventure begins here. Not all jungle adventures begin with the hard landing of a bush plane. Some, may start quite uneventfully. The “clunk” sound from your “family transport unit” and the occasional “are we there yet?” Sound familiar? Perhaps a little easier, cheaper, and shorter? 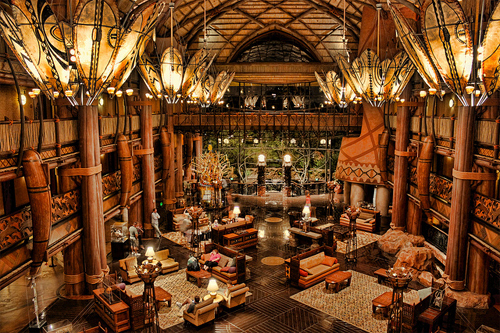 Why not indulge yourself in a few African themed nights at Disney’s Animal Kingdom Lodge? If you’re not on a budget, you could sleep in the presidential suite, also called the Royal Astante Suite. 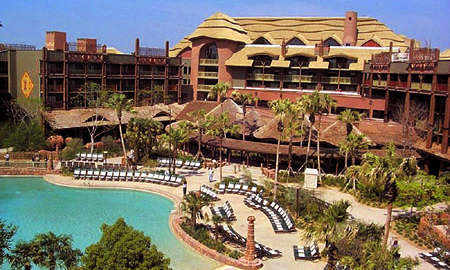 Disney’s Animal Kingdom Lodge offers a 2,115 s.f. suite. 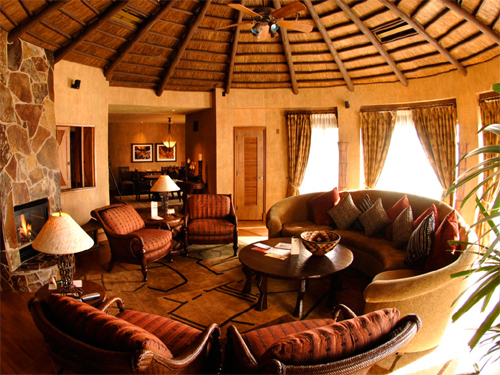 This suite is boasts a lavish 2,115 square foot oasis with hand-crafted armoires, a cozy curved couch nestled by a remote-control fireplace, a bubbly Jacuzzi, original African artwork décor, and a wood-carved grand canopy bed so large in design that it was built right there-within the room. Other features of Disney’s Animal Kingdon Lodge include a domed thatched roof, dining table for eight, sizable full kitchen, writing desk and study, built in cabinets and dressers, and a treadmill perched on the balcony guarantee a plush visit and a relaxing stay. 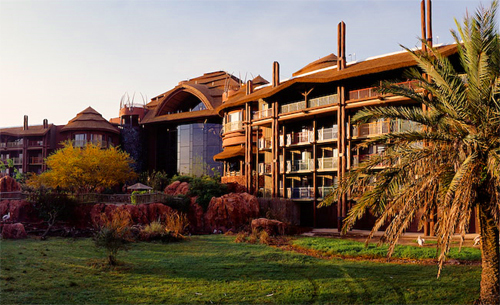 For more serenity, guest of Disney’s Animal Kingdom Lodge can just step outside onto the balcony and there right at the doorstep is a world of peaceful wildlife sanctuary-home to zebra, wildebeest, greater kudu and 200 other exotic animals. Visiting or staying at Disney’s Animal Kingdom Lodge is about as close as you can get to a real African experience without leaving the states. With giraffes, zebras, and other wildlife right outside of your balcony and the culinary authentic African dining at JIKO and BOMA, at Disney’s Animal Kingdom Lodge, you feel as though you’ve slipped away into a sweet African dream.